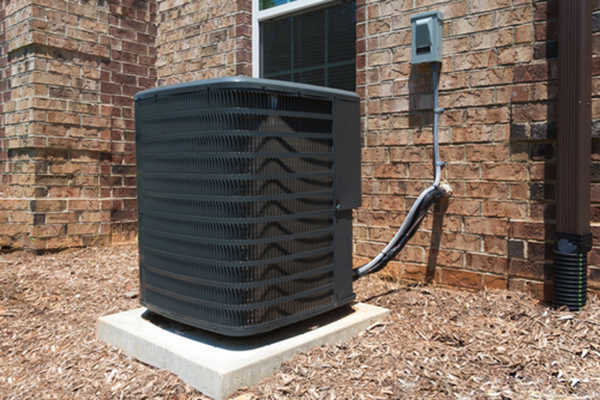 Routine maintenance on your A/C unit can save you money and headaches. Follow these tips from NCC to ensure your unit works on that first hot day of the year. Experts suggest servicing your home air conditioning once a year. (The same goes for heating.) Spring is the best time. However, to ensure your system continues to work efficiently, you need to do some “housekeeping” on a regular basis. One of the most important and easiest ways to maintain your unit is to change the air filter. You don’t need a professional; simply locate your unit’s filter slot, slide out the old filter and insert the new one, making note of the direction of the air flow and which side of the filter needs to face out. Be sure to refer to your unit’s manufacturer’s instructions for correct filter size and steps for properly replacing the filter. Wondering which type to buy and how often to change the air filter? That depends on your lifestyle. Do you have pets? Do you have children with allergies? Filters come in different “strengths,” depending on how filtered you want the air to be in your home. They also need to be changed at different times, depending on your circumstances. For instance, if you have pets, you may consider replacing it every month, as well as purchasing a filter with a higher rating — the higher the number, the more it filters the air. The same rule applies if you have family members that may be sensitive to dust and other allergens. At a minimum, filters should be changed every 90 days. Is on a level surface. Doesn’t have any debris, such as leaves, pollen and twigs, clogging it up. Has at least 2 feet of clearance around it. Has the proper amount of good-quality insulation around the refrigerant lines. Note: For safety reasons, this should be done without attempting to open the outside unit. If you feel that you can’t get it clean without taking it apart, call on a professional to do the dirty work. After you’ve assessed the outside appearance of the air conditioner, it’s time to assess its performance. Crank that baby up, and see how she fares. Determine if your home is getting cooler, if the unit is quiet and if it appears to be performing normally overall. Note: The first time you turn on your home air conditioning, you may notice a smell. That’s simply the air conditioner’s way of clearing out the dust that may have settled since the last time you ran the unit. It should dissipate shortly. Perhaps you’ve turned the unit on, and you hear a strange noise coming from it. Or worse, it’s not actually blowing cool air. That would mean that it’s time to call in the professionals. And the earlier, the better. You don’t want to have to replace your unit because you ignored something that seemed unimportant. It’s better to be safe than sorry. And the best part? The professionals don’t just give the A/C a more thorough checkup. They service air conditioner and heating units. In fact, remember earlier when we answered “How often should you service your A/C?” and mentioned that you should also service your heating unit once a year? Well, the technician can also set up that appointment for you at the time of the service call. Easy peasy.